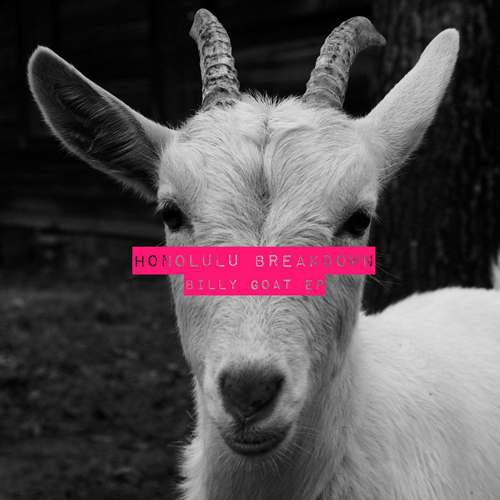 German skate punk speedsters Honolulu Breakdown have just released a new 6-song EP,“Billy Goat” (2016-02-18) which is available by digital means through Less Talk, More Records. The recording, mixing and mastering was all done DIY style by the band’s drummer, Fab, at his home. First off, as per the aforementioned opening, s-p-e-e-d is the key word with these guys and I’m not talking about the methamphetamine. The HB guys have always stuck to that formula from day one and I honestly can’t think of another punk rock act that keeps that same intense speed throughout a record. The prime reason for this feature is of course the man who keeps the tempo for the band aka the drummer. “A Language We Don’t Understand” starts this beast up with no BS, simply a fast start and aggressive vocals that breaks down what you will hear throughout the EP. I love it around the 2:03 mark when the song breaks down and gives you glimpse of “The Void” (see later). “Surprise, Surprise” has my favourite part at around the 1:03 mark due to the fantastic bass pedal stop & go’s and guitars. And “The Void”, with its slow alternative rock feel, is beautiful and you really get a sense that HB could very well write a gem of a rock album. But don’t be fooled since with “The Void”, you just know that at some point it will start to rage all the while keeping that same feel from the intro. In a time where many people say punk rock is dead, it’s underground bands like Honolulu Breakdown that keep it alive not only by only staying true to their roots but by putting out a release via their own agenda. Life is busy, things change from year to year due to many factors but what doesn’t change is a band’s passion to write music. I appreciate a band who takes their time to write their best release – it’s not always about quantity in this day and age, it’s all about quality for me.